If you want healthy, strong, long curls, you need to know your hair porosity level! Did you know that many people do not understand, let alone know about, porosity in terms of hair care and styling? Questions and conversations float around our natural hair community forums about porosity like flyways. Fortunately, there are plenty of ways to determine hair porosity, making it easy to move forward when learning how to care for curls of a certain porosity level once it has been determined. Understanding your hair’s porosity will help you determine which products are best for your hair. But sometimes those choices can be overwhelming. 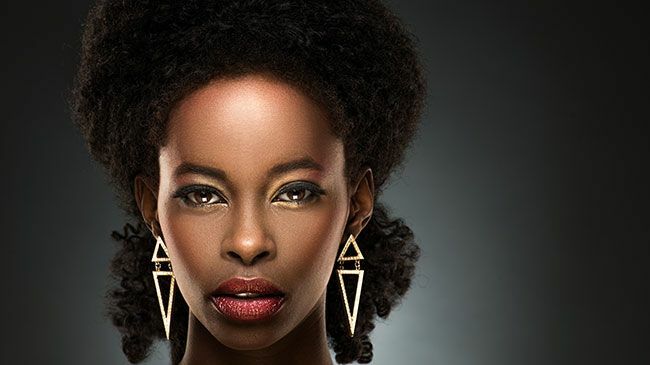 That is why curl-advocates Design Essentials created an effective line of formulations that consist of coconut and monoi oils, two powerful emollients that moisturize dry, dull, very thirsty hair of any porosity. This gelee is ideal for 3a to 4b because of its lightweight consistency and medium hold that will not weigh down curls or make them crunchy. Wash and go styling with the gelee is a dream. Simply apply to damp or wet hair using the praying hands technique for defined, moisturized curls. Edges and baby hairs can be easily styled, but they can also be easily damaged. That is why an emollient-rich moisturizing glaze is so important to use. It is a thick glaze that gently melts edges into place upon application. Use either your finger to make waves or a small-bristled brush to smooth those curls into the shape you want. High porosity curls will love this leave-in nourisher because it helps curls hold in moisture at all hours of the day. For low porosity curls, this nourisher acts as a refresher for second and third day hair. In addition to coconut and monoi, this nourisher contains moisturizing sunflower oil and regenerative Biotin. As its moniker indicates, the Design Essentials Coconut and Monoi Collection hosts formulations that help curls stay moisturized with coconut and monoi oils, while glycerin adds intense hydration on a deep, cuticle-level. That is why each formulation in this line is ideal for every porosity level. Level with us in the comments section below!